The Department of Mass Communications at the University of Louisiana at Monroe provides its students with comprehensive education with concentrations in journalism, management and marketing, media production, and public relations. The website was online from 1999 until 2001, when the department merged with another one. It is stored locally on my server. Responsibilities in the project: navigation, layout, graphics, photography, HTML, CSS. 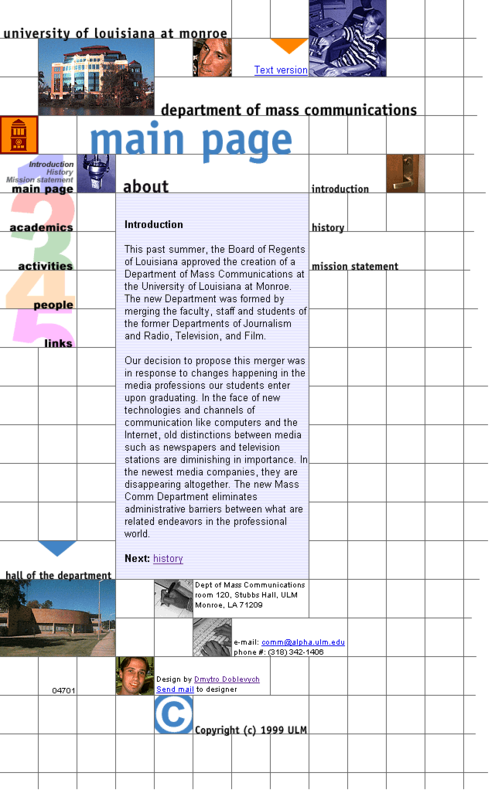 The Department of Mass Communications website uses images of department students and facilities.